TVOntario’s public affairs program, The Agenda with Steve Paikin, dealt with the controversy over the implementation of Ontario’s push for power generation from wind this week, with an edition of the show, followed by the debut of new documentary film Big Wind. Ottawa Wind Concerns’ chairperson (and Wind Concerns Ontario president) Jane Wilson was a guest for the entire Agenda program, which is available online at http://tvo.org/video/211902/wind-power-wind-problems. There are opportunities to comment at both links. LONDON, Ont. — I’m green, you’re not.The battle to be embraced as the best environmental choice for Ontario’s power supply is getting down and dirty. Fed up with the wind-farm sector enjoying what it considers an undeserved reputation as a pristine energy supplier, Canada’s nuclear industry — it generates the lion’s share of electricity in Ontario — has launched a public relations assault against wind. Both nuclear and wind are major players in the power mix of Southwestern Ontario, home to one of the world’s largest nuclear plants — Bruce Power, near Kincardine — and many of Ontario’s biggest wind farms. “Wind power isn’t as clean as its supporters have claimed. It performs unreliably and needs backup from gas, which emits far more greenhouse gas than either wind or nuclear power,” said Dr. John Barrett, president and chief executive of the Canadian Nuclear Association, in an e-mail to QMI Agency. The Canadian Nuclear Association hired Toronto-based Hatch Ltd., a global consulting and engineering firm, to compare wind farm and nuclear energy. Hatch reviewed 246 studies, mostly from North America and Europe. Its 91-page report concludes wind energy over the lifetime of an installation produces slightly less greenhouse gas — implicated in climate change — than nuclear and both produce a lot less than gas-fired generating plants. But Hatch says it’s an entirely different picture when wind energy’s reliance on other generating sources is considered. The engineering firm calculates wind turbines only generate 20% of their electrical capacity because of down time when no wind blows. When gas-fired generating stations are added into the equation to pick up the slack, nuclear produces much less greenhouse gases, the Hatch study concludes. Its analysis is that for every kilowatt-hour of electricity produced, nuclear power emits 18.5 grams of greenhouse gases. Wind backed by natural gas produces more than 20 times more — 385 grams per kilowatt hour. The nuclear industry attack on wind might not be a welcome message for the Ontario Liberal government that has justified its multibillion-dollar investment in Southwestern Ontario wind farms on the basis it’s providing green energy. But its a position that resonates with Ontario’s anti-wind farm movement. “We share their concerns on this issue and have been speaking about this for years. 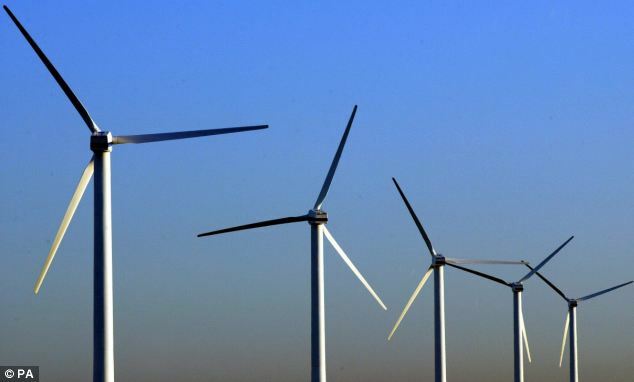 We have taken advice from engineers in the power industry, who say that wind power cannot fulfill any of the environmental benefit promises made for it, because it needs fossil-fuel backup.,” said Jane Wilson, president of Wind Concerns Ontario. On the other side of the debate, the Canadian Wind Energy Association said it has had an opportunity to review the Hatch study. It said there’s no surprise that when wind and natural gas generation are paired that the mix creates more greenhouse gases than nuclear. But when wind is paired with other potential electricity suppliers, the results are different. “Unfortunately, by choosing to focus on only one scenario, the study failed to consider a broad range of equally or more plausible scenarios for the evolution of Canada’s electricity grid,” the Canadian Wind Energy Association said. Read the original article and reader comments here. For most of Ontario’s history, the official energy policy of successive provincial governments was generally the same. The Province sought to keep electricity prices as low as possible consistent with the goal of ensuring that Ontario consumers and industry had secure and reliable sources of supply. 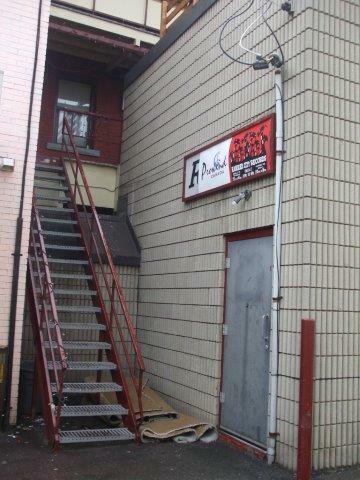 With the election of a Liberal government in 2003, the goal changed. Since then, the Government has raised electricity costs significantly, emphasizing reliance on expensive industrial wind turbines, solar plants and biomass for generation, and using higher rates to force consumers to cut back on their energy use. The consequences of those policies have been a doubling of residential electricity rates and the ever-increasing share of renewable energy generation as part of the provincial electricity generation mix. According to data from the Ontario Power Authority, in 2014 biomass, industrial wind turbines and solar plants will provide about four per cent of Ontario electricity supply, but will cost consumers $1.933 billion dollars, or 17 per cent, of the total generation cost. The amount of renewable energy brought on line is expected to increase significantly by 2018, adding further to the costs. The Ontario Long Term Energy Plan, published in December 2013, included a table projecting what this will mean for the average residential customer who consumes 800 KWh of electricity per month. Taking into account the costs of electricity generation, transmission, distribution, taxes and related regulatory charges, the average monthly bill will rise from $125 in 2013 to 181 in 2020, a 45 per cent increase. Large industrial users will see their rates rise from $79 per MWh in 2013 to $104 in 2020, a 32 per cent increase. These increases do not take into the account the significant costs associated with having to provide significant back up capacity because the wind and solar plants are “intermittent” sources of supply. This means that they usually produce energy when it is not needed, and production from these plants cannot be varied to accommodate changes in demand. Ontario generation capacity now exceeds demand, and the Green Energy and Economy Act requires that renewable energy sources be given preferential access to the provincial grid over lower cost conventional supplies. The increases in rates do not take account of the cost of curtailing operations at existing plants or of losses on export sales. In 2013 this was about $1 billion. Here is a letter to the Editor from the current edition of the Norwich Gazette. This community is the location of Prowind’s ONLY active wind power development. The public should be asking questions about the Gunn’s Hill wind project, and asking about the organization called The Oxford Community Energy Co-operative. If the “community” in the project area wanted a co-operative why wouldn’t they create their own? Why are Prowind Canada, Ontario Sustainability Services (OSS), “Friends of Wind” (presumably funded by Canadian Wind Energy Association) and IPC Energy trying to push it into the community? Doesn’t this appear more like a mechanism for the developer to apply for the “co-operative” adder from the Ontario Power Authority (to make more money for the developer) rather than a true community initiative? What is IPC Energy’s interest in this project? Will the project be changing ownership? Why would the Oxford Community Energy Co-operative’s (OCEC) corporate office address have been registered as the IPC Energy address in Mississauga, with IPC’s president being a director of the OCEC? While Prowind stated in its Renewable Energy application documents its plans to be a “long-term presence and neighbour”, it already tried unsuccessfully to sell the Gunn’s Hill project to Boralex in 2013. Given that Prowind Canada has still not begun operating any projects in Canada, and their staff has been dwindling in number each year, why would there be any assurance that Prowind will be involved long-term? At what point will the project ownership change? Ask about the provider, Prowind. Why does Prowind claim employment opportunities will be offered to Six Nations workers in one section of their REA documents, while stating preference will be given to local community residents in another? Why did Prowind claim the Talbot Wind Farm near Ridgetown was a “well planned project” without researching the impact on residents? Why have they not admitted that residents have had significant adverse impacts in this “well planned project”, including having to vacate their homes or sleep in their basements? Take a look at a website we’ve been observing – http://www.windontario.ca. You already know the Norwich Township council has declared themselves to be an “unwilling host”. Do you truly believe the Gunn’s Hill project will benefit the environment? Ontario’s coal-fired generating stations have already been shut down and we are exporting surplus electricity at a loss to other jurisdictions on a regular basis, with manufacturing industries closing down in Ontario. The public should be asking the hard questions. Editor note: Prowind is the Germany-based company that has proposed a wind power development for North Gower-Richmond until the Feed In Tariff subsidy process was put on hold in 2013; a new procurement process is slated to begin in the summer of 2014. Research in Ontario on values of properties neighbouring wind power projects show a a range of loss on the order of 20-48%, as has been reported here. The London School of Economics is about to publish a study based on transaction for properties near 150 wind “farms” studied over a 12-year period, which finds significant value loss. Property value loss has been a hot-button issue for the wind power lobby, probably because it is proveable, and is a negative side effect of wind power projects, which can be very invasive in communities. The study is a sharp contrast to studies done by Ben Hoen in the United States, usually at the behest of and with funding from the wind power lobby. Mr Hoen famously produced a study claiming to have looked at over 7,000 properties—that was roundly criticized by people who know something about real property (Sunak & Madlener, Wilson, more). This is just a preliminary news story; we look forward to reading the whole study on its release. Property value loss in North Gower due to the proximity of the huge wind turbines (over 500 feet in height) to 1,000 homes, is estimated to be $134 million. The presence of wind turbines near homes has wiped tens of thousands of pounds off their value, according to the first major study into the impact the eyesore structures have on house prices. 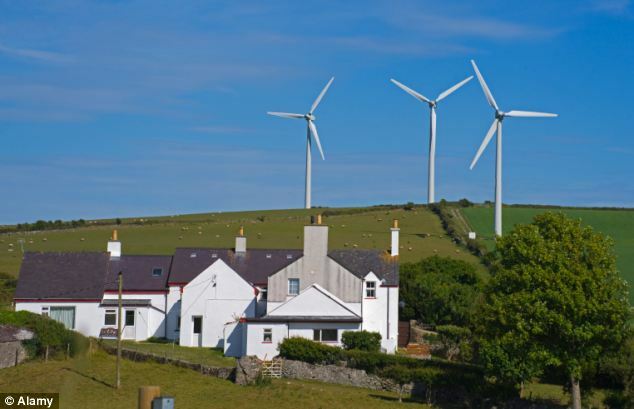 The study by the London School of Economics (LSE) – which looked at more than a million sales of properties close to wind farm sites over a 12-year period – found that values of homes within 1.2 miles of large wind farms were being slashed by about 11 per cent. This means that if such a wind farm were near an average house in Britain, which now costs almost £250,000, it would lose more than £27,000 in value. In sought-after rural idylls where property prices are higher, the financial damage is even more substantial. In villages around one of Southern England’s largest onshore developments – Little Cheyne Court Wind Farm in Romney Marsh, Kent, where homes can cost close to £1 million – house values could drop by more than £100,000. The study further discovered that even a small wind farm that blighted views would hit house values. Homes within half a mile of such visible turbines could be reduced in value by about seven per cent. Even those in a two-and-a-half-mile radius experienced price reductions of around three per cent. The report’s author, Professor Steve Gibbons, said his research was the first strong evidence that wind farms are harmful to house prices. Green taxes are set to be frozen to reduce soaring energy bills. Whitehall sources say the Government is preparing to put the brakes on the ‘carbon tax’ on greenhouse-gas emissions, with an announcement expected in the Budget in March. Prime Minister David Cameron has reportedly instructed aides to ‘get rid of all this green c**p’ to reduce energy bills, which currently average £1,350 a year. The study, which is still in draft form but is due to be published next month, focused on 150 wind-farm sites across England and Wales. It compared house-price changes in areas that had wind farms, were about to see one built or had seen one rejected by the local authority.